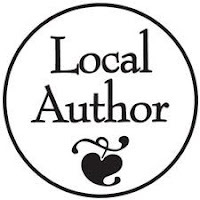 Mercer County District Library is holding its first ever local author fair. Whether you're an avid reader or an aspiring writer, the local author fair is an excellent opportunity to talk with local writers about their work. Writers of children's books, nonfiction, and fiction will be on hand to talk about books and their writing process. Completed applications must be recieved by noon on Saturday, August 24, 2013. The wrap-up reception and Grand Prize drawing was held on Friday, July 26 at 2:00 pm. The results are in! 398 children signed up for the Children's Summer Reading Program this year! Great job everybody! The party on Friday was a lot of fun with our friend Zak Morgan. Only nine months until next years program! The Annual Lake Festival Friends of the Library Book Sale was again a success. Nearly $1000.00 was raised this year! Thank you to everyone who stopped by and purchased books. Remember that the Friends of the Library Book Store is open the first Saturday of each month from 9:00 am to 12:00 pm.